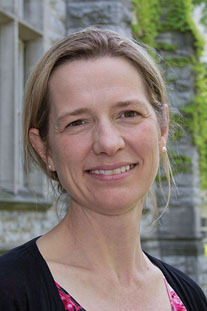 Ingrid Johnsrude is Professor of Psychology at the University of Western Ontario where she is also the Research Chair at the Brain and Mind Institute and School of Communication Sciences and Disorders. Ingrid ‘s principal area of research is the cognitive neuroscience of communication and hearing. Her experimental work, relying on both behavioural and functional imaging methods, concerns the cognitive processes that transform speech from sound into meaning. She has won awards for her work, including the EWR Steacie fellowship from NSERC, and her papers have been cited more than 7000 times.